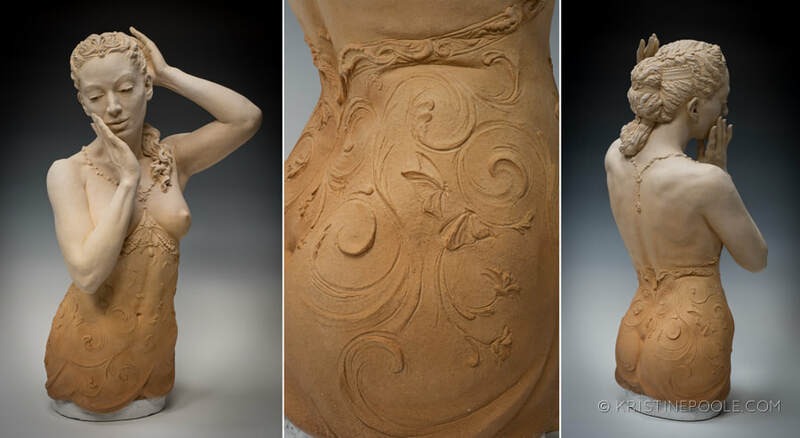 The Execution of Lady Liberty, 31.5” x 12.5” x 16,” Fired clay (Sold). 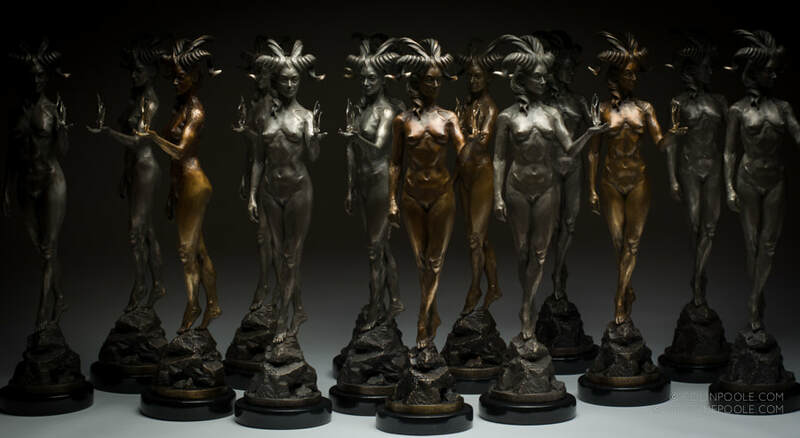 Satyr's Tale, 12"x 9.5"x 8," Fired clay. 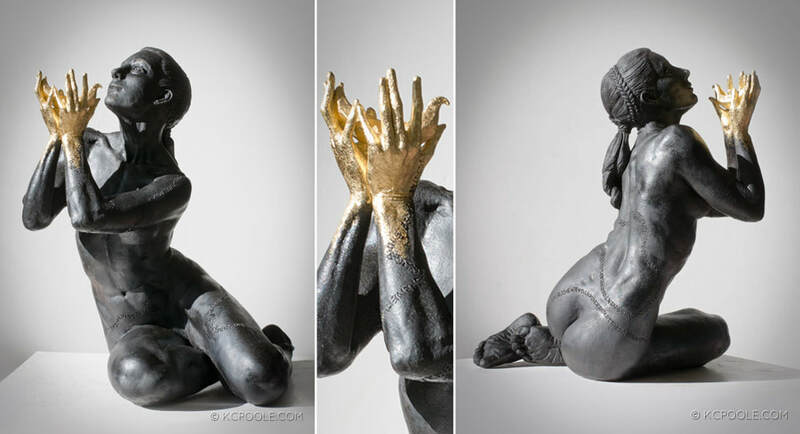 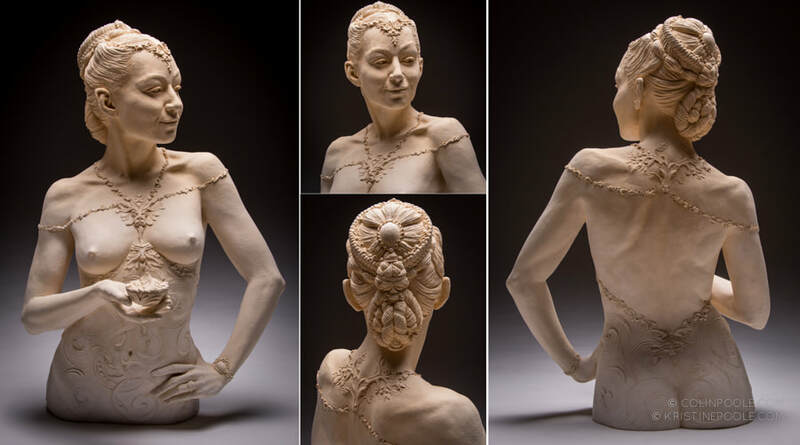 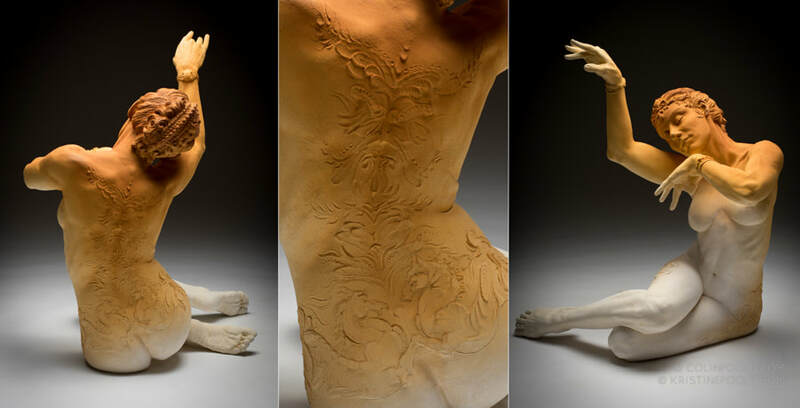 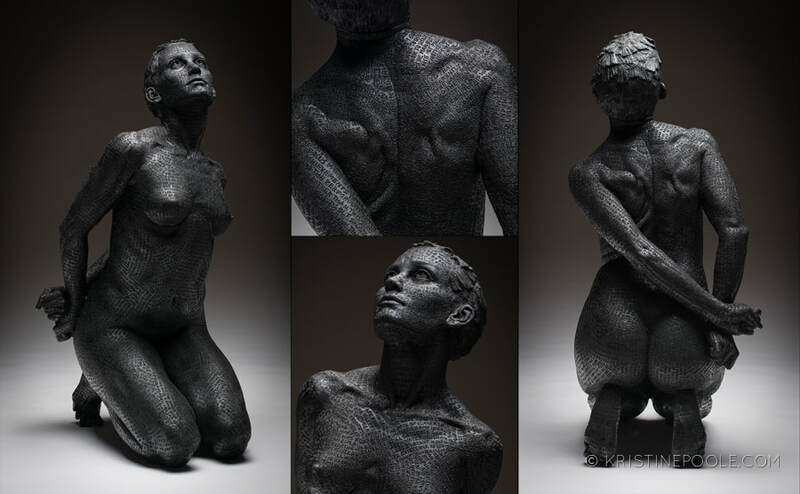 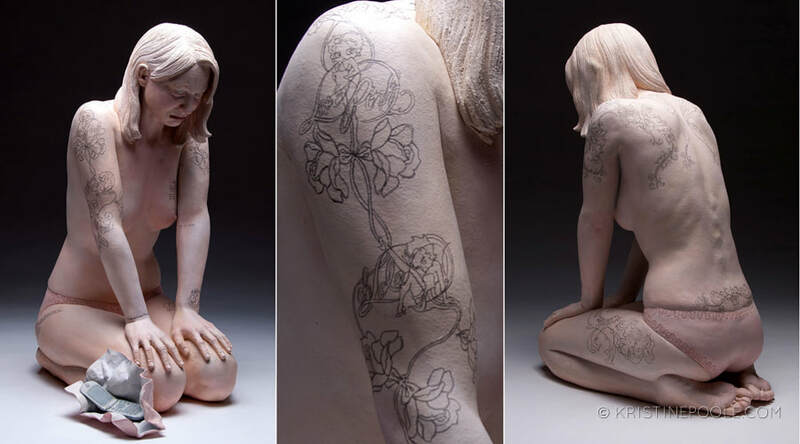 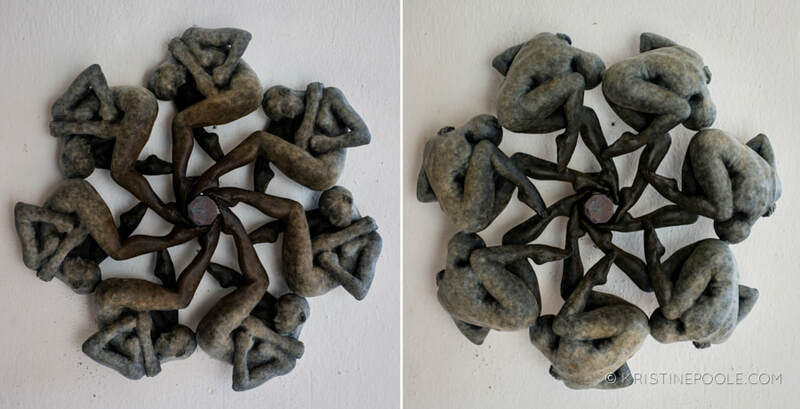 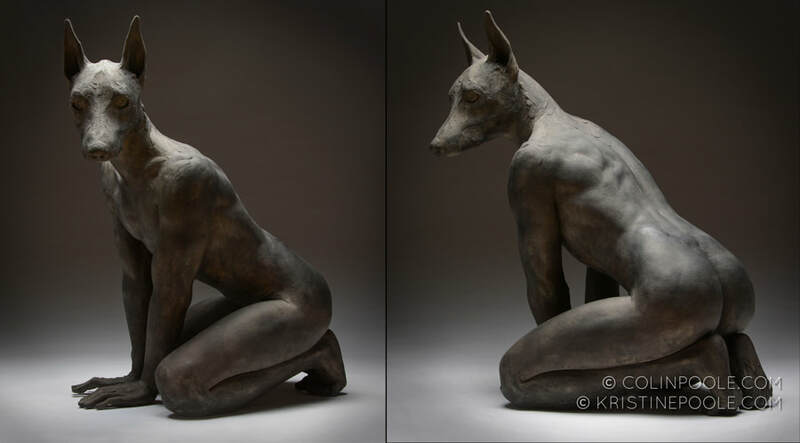 Skyla: The Allegory of Mentorship, 26”x 22”x 12,” Fired clay. 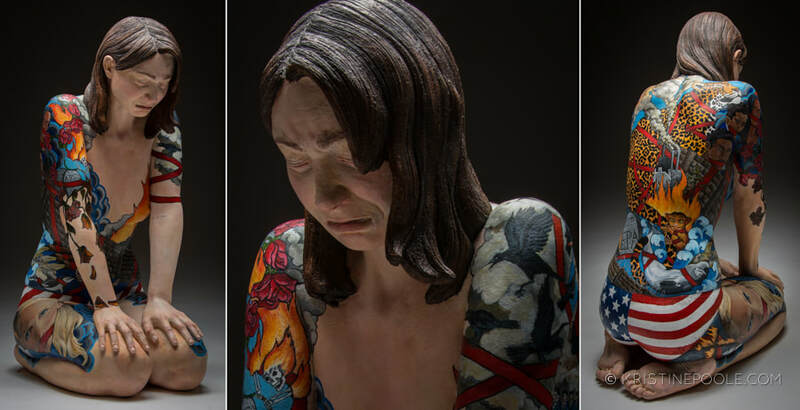 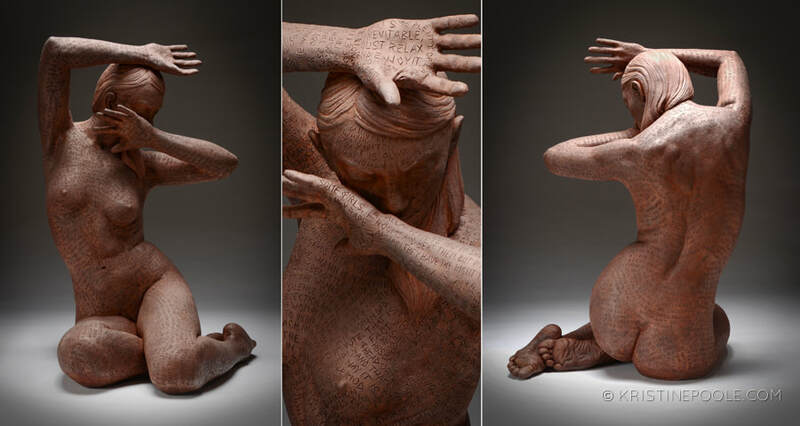 Crying Out Loud: Seeing Red, Feeling Blue, life-sized 32"x 15.5”x 23,” Fired clay with polychrome surface. 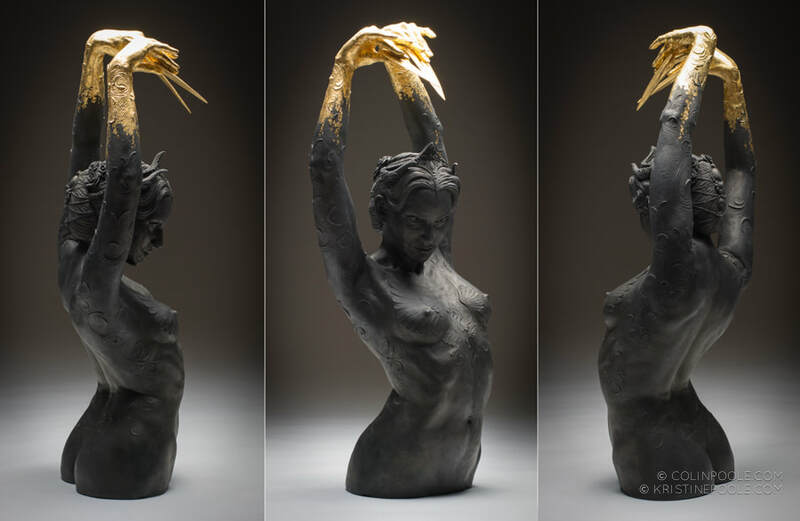 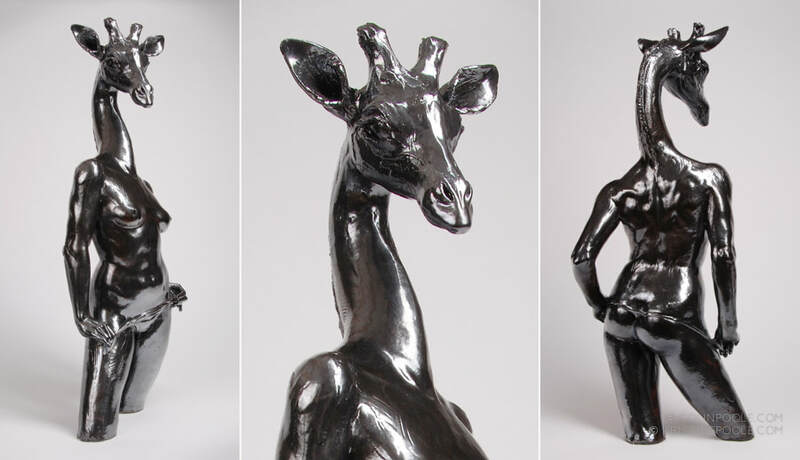 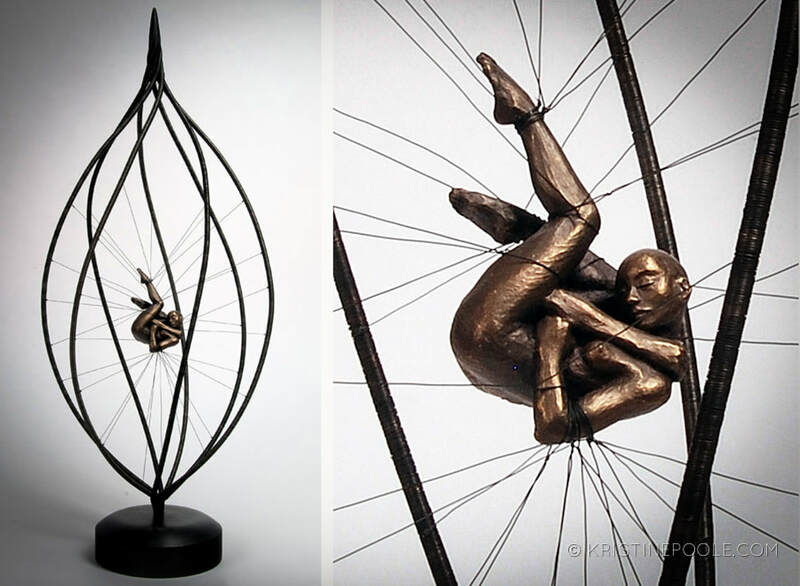 Chrysalis, 25.5”x 10”x 10,” Bronze and Steel (Sold). 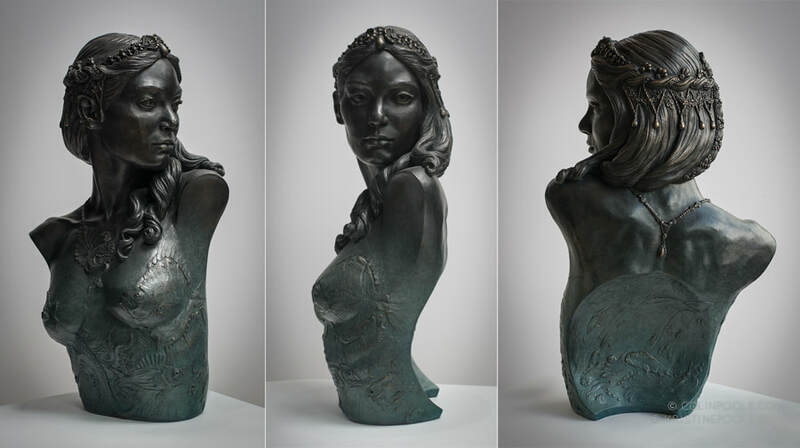 Take Wing, 10.5”x 12.5”x 9.5,” Bronze (Sold).